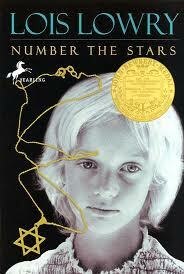 Number The Stars was a very kid-friendly book that explained how life was during the Holocaust. The book was really inspirational in terms of the main character’s bravery. It helped me understand how hard life was for Jews back then and how they coped with that. Lois Lowry has written a Holocaust book in a completely different way. Most books about the Holocaust are written or translated as diaries, and I have read very few books like this one. Annemarie is a very brave ten-year old and she has many friends who are Jews, including her best friend Ellen. When Ellen’s parents leave her at Annemarie’s house, she can’t help but wonder why. Hi Priyanka! I am downloading the Lois Lowry book based on your review – it is one I have not read. It sounds very compelling! I’ll check for books for Rohan and Riya to read 🙂 Keep reading …. I would definitely recommend Number The Stars. Wonder is also a good book for Rohan and Riya. Oh yes – Wonder is a lovely book. Rohan read it as part of “Chat and Chew” at school. I love reading these books too – so you are now my guide to new books …. LOVED this book Priyanka – thanks for the review!